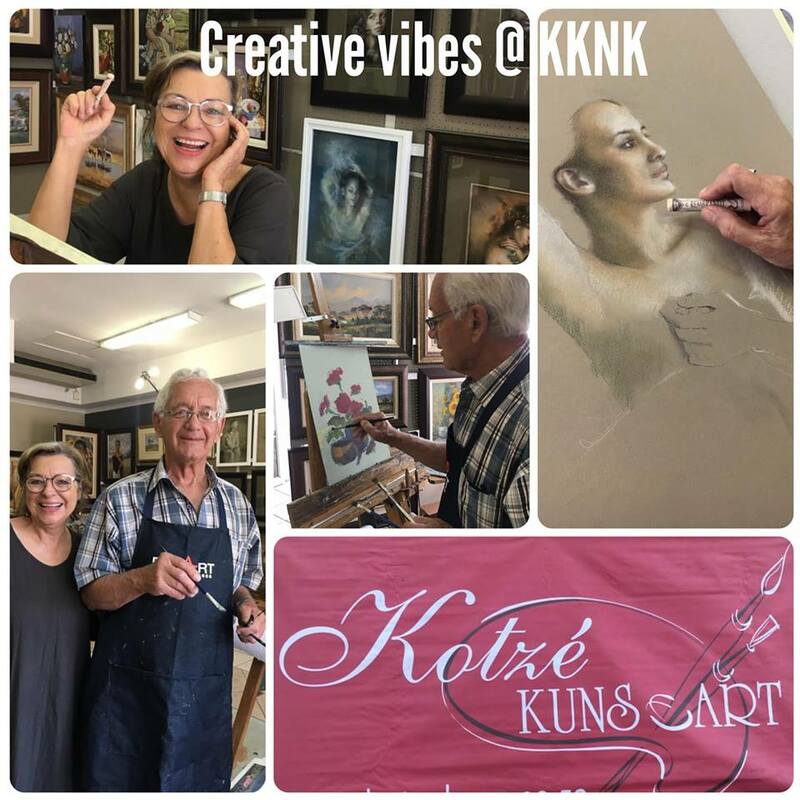 I am so proud of my dad, at age 80, Kobus is the festival artist together with Anny Maddock, a well-known artist from Western Cape. 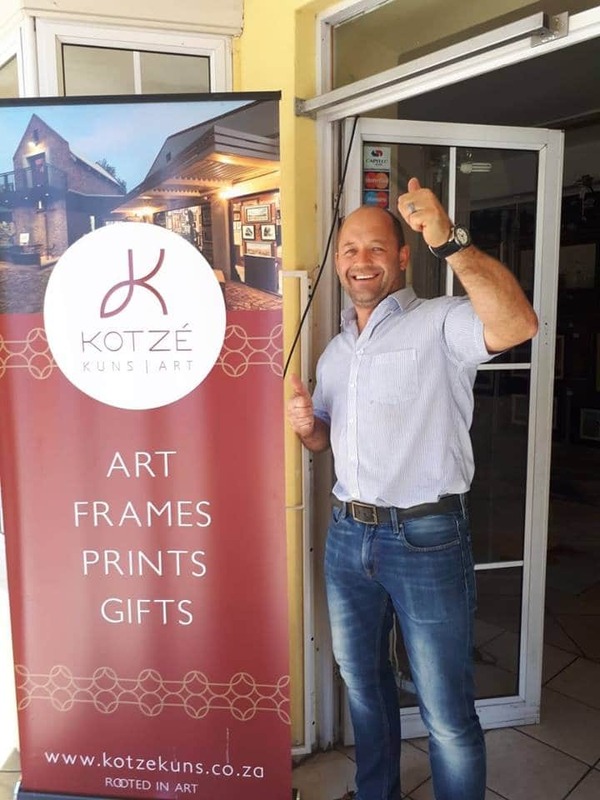 You will find Kobus behind his easel at my brother’s exhibition, the Kotze Art Gallery from Bloemfontein, at KKNK in Oudtshoorn until the 27th of March. 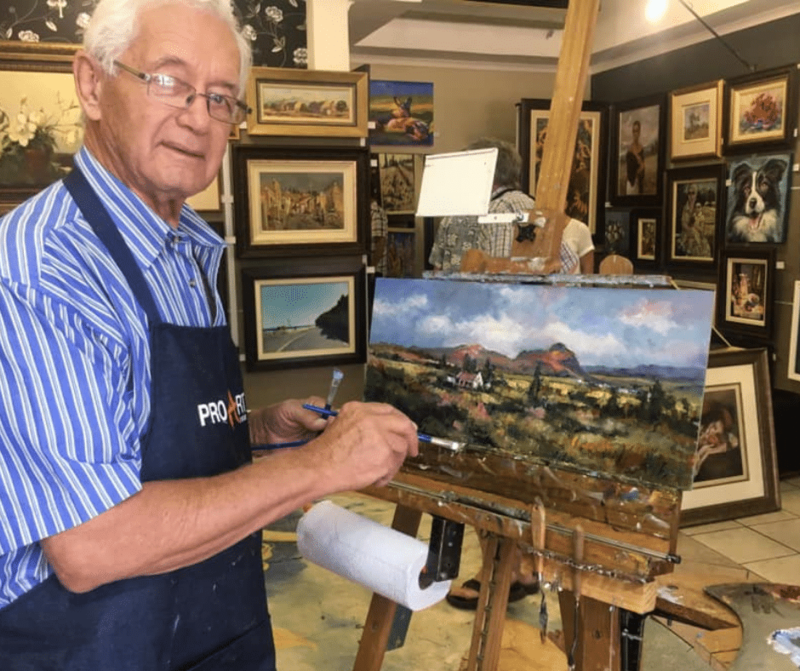 Kobus is a renowned South African artist and known for his impressionistic landscape paintings. 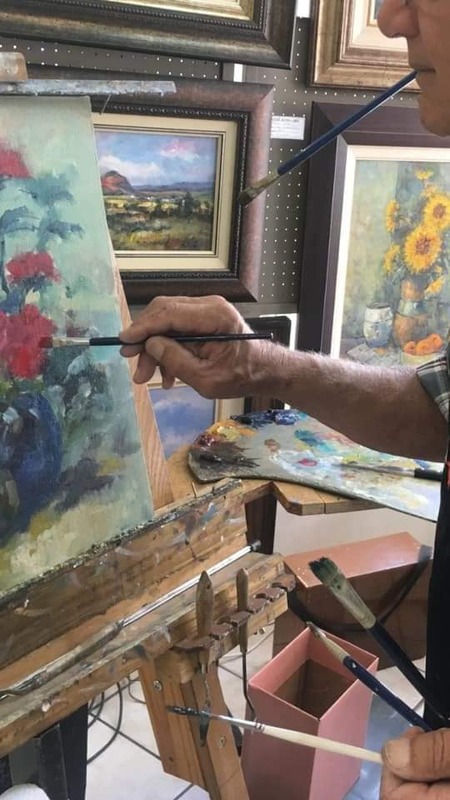 His floral paintings and street scenes are also very much in demand. 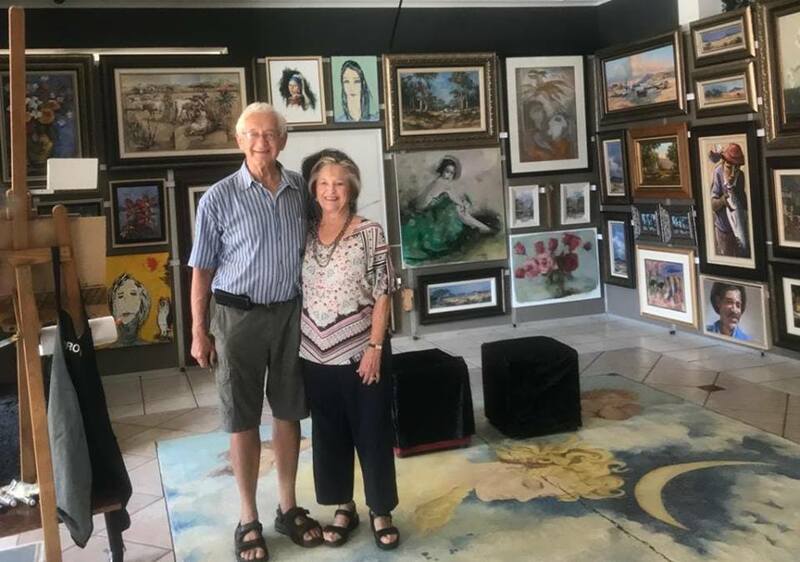 It’s not many artists at that age that have the energy to paint for a full 7 days at n festival, and it is here that Kobus produces some of his best work, it is as if the energy of the festival keep him energized. 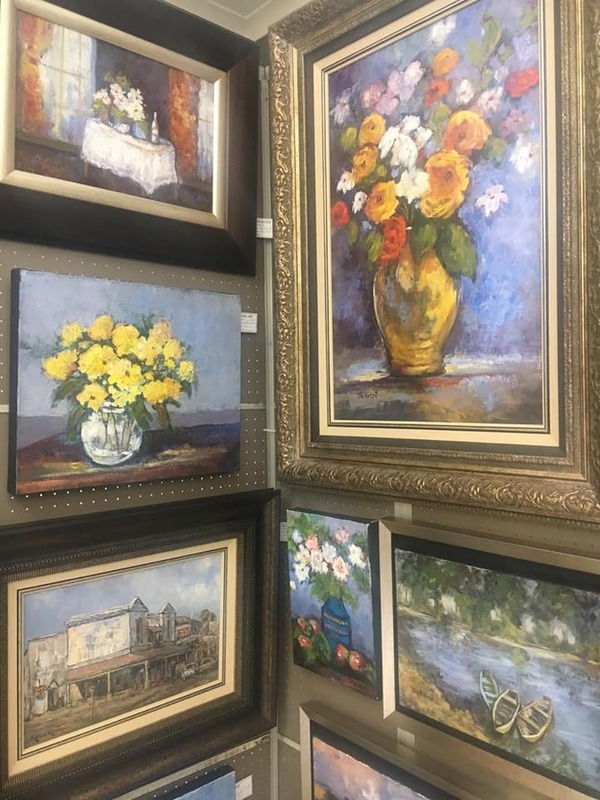 My pretty mom, Joe, is also a full-time artist and her beautiful paintings are on display at the exhibition together with a selection of very good investment paintings. I just love the Monet-like scene bottom right of the little boats in the water!! 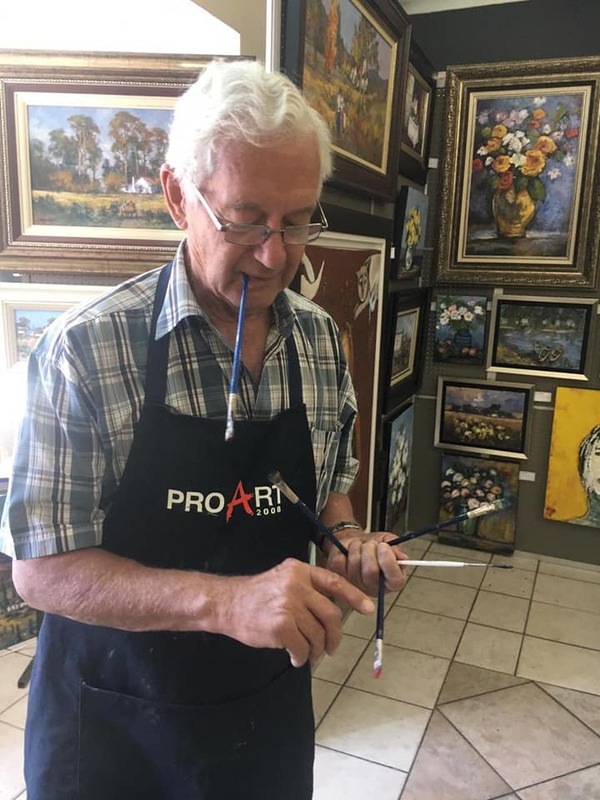 I am not sure why we do it but artists always end up with their brushes in their mouths! KKNK is already in full swing for the third day, please pop in and say hello to my parents if you are one of the lucky ones to be in Oudtshoorn these next few days. Say hello to my brother, Floris, I just love this guy!!! And finally, Anny and Kobus and their creative positive vibes! Kobus and Anny Maddock makes a mean team and you will surely enjoy seeing them in action. The exhibition is at the Queens Hotel Building in Baron von Reede street, Oudtshoorn. 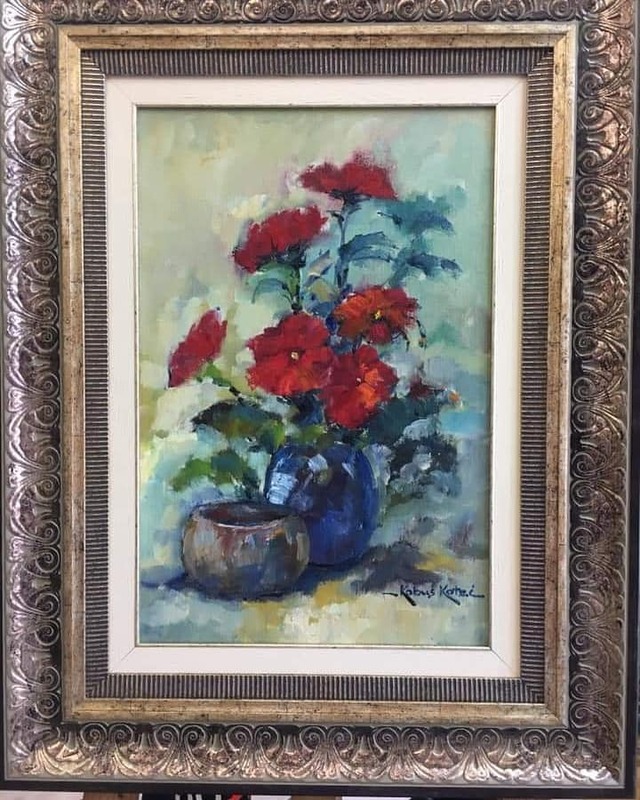 Posted in Blog and tagged KKNK, art, Art festival, Oudtshoorn, investmentart, Kotze Art Gallery. Dit is wonderlike om deel te wees van ‘n hele gesin briljante kunstenaars!!! Ag dankie Ilse, dit is voorwaar ‘n voorreg en so lekker!